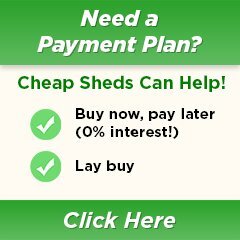 Are you a Cheap Sheds super fan? (Trust me there are a few shed fanatics out there!) Well even if you aren't why not add a Cheap Sheds T-shirt or Stubby holder to your order to show your support for Australian Sheds and Companies. We love our customers and if you love us why not throw a goodie into your cart from the selection below.